Your antique and vintage car can be both a rolling work of art and a trip down memory lane. Whether you own an original Model-T Ford, a ’57 Chevy Bel-Air, or a sleek antique Jaguar, your collector car is most likely one of your most prized possessions. 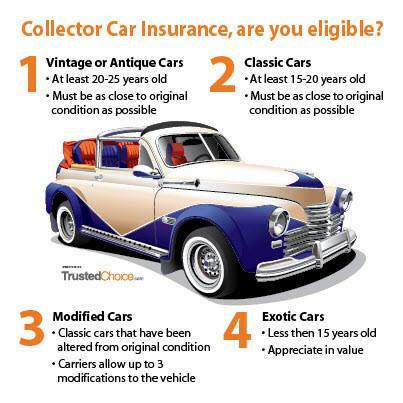 If you are a new owner of a collector car, or if you are considering switching insurance companies, the first step is to contact a Trusted Choice independent insurance agent at Neely Taylor Wade Insurance. Our agents work with many insurance companies and can research the best rates on your behalf. The original 1964-1965 Mustang was Ford’s most successful model launch since the Model A, in 1927. The 1971 Oldsmobile 442 is the most popular classic muscle car with collectors. The Shelby GT 500 “King of the Road” and the ’66-’70 Chevy Chevelle are a close second and third. Read more about how to protect your investment and enjoyment of your vintage car from our friends at Trusted Choice.